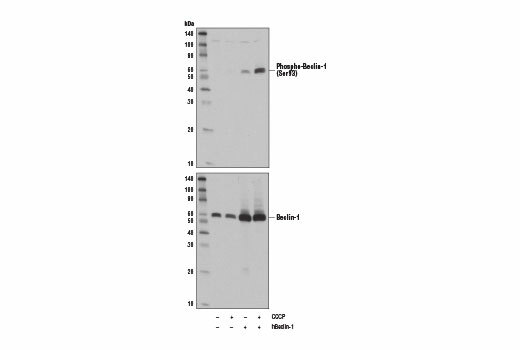 Western blot analysis of extracts from serum-starved NCI-H2228 cells, untreated (-) or treated with phenformin (5 mM, 1 hr; +), using Phospho-AMPKα (Thr172) (D4D6D) Rabbit mAb (upper) or AMPKα (D63G4) Rabbit mAb #5832 (lower). 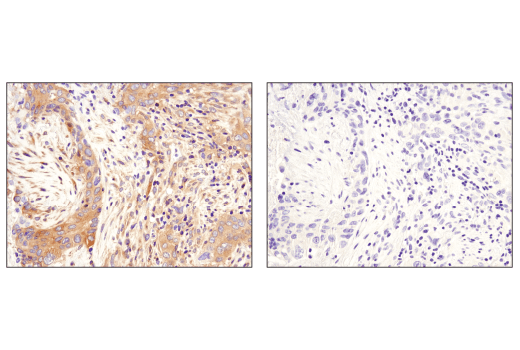 Immunohistochemical analysis of paraffin-embedded NCI-H2228 cell pellets, untreated (left) or phenformin-treated (right), using Phospho-AMPKα (Thr172) (D4D6D) Rabbit mAb. 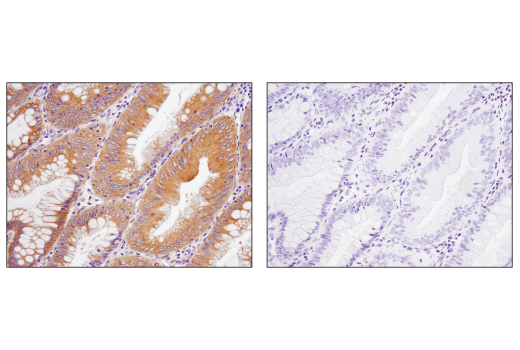 Immunohistochemical analysis of paraffin-embedded human colon carcinoma using Phospho-AMPKα (Thr172) (D4D6D) Rabbit mAb, control (left) or λ phosphatase-treated (right). 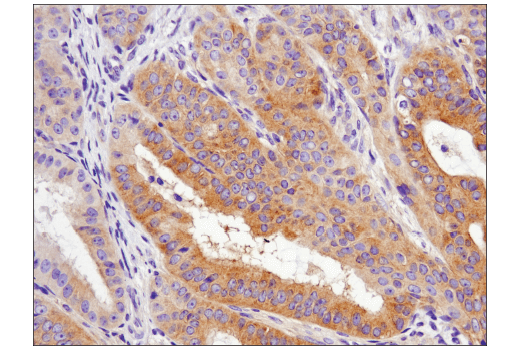 Immunohistochemical analysis of paraffin-embedded human ovarian carcinoma using Phospho-AMPKα (Thr172) (D4D6D) Rabbit mAb. 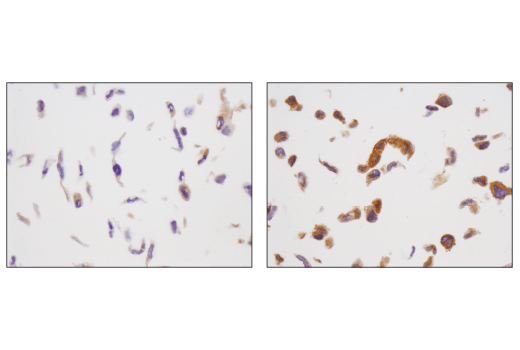 Immunohistochemical analysis of paraffin-embedded human lung carcinoma using Phospho-AMPKα (Thr172) (D4D6D) Rabbit mAb in the presence of control peptide (left) or antigen-specific peptide (right). 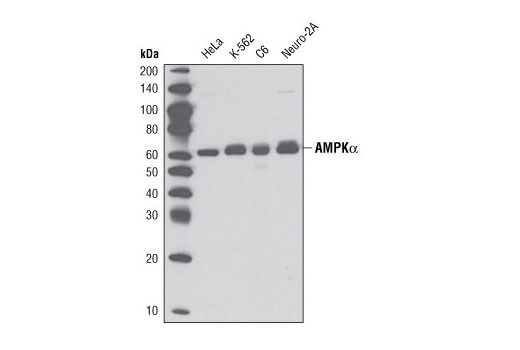 The AMPK Substrate Antibody Sampler Kit provides an economical means of detecting total and phosphorylated substrates of AMPK. 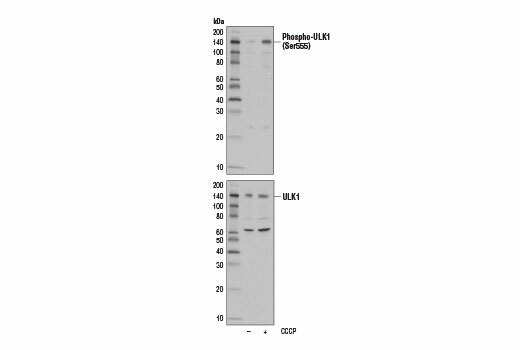 The kit provides enough antibody to perform two western blots with each primary antibody. 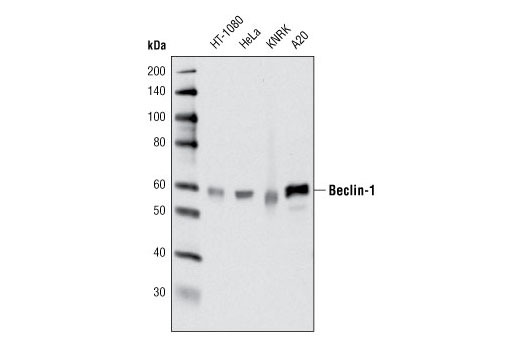 AMPKα (D5A2) Rabbit mAb detects both α1 and α2 isoforms of the catalytic subunit. 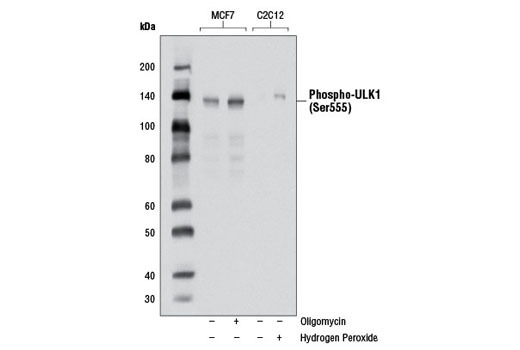 Phospho-ULK1 (Ser555) (D1H4) Rabbit mAb detects endogenous levels of ULK1 only when phosphorylated at Ser555 of mouse ULK1 (equivalent to Ser556 of human ULK1). Bands of unknown origin are detected between 90 and 100 kDa. 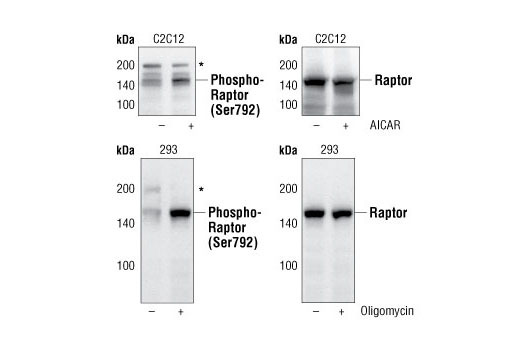 Phospho-Raptor (Ser792) Antibody detects non-specific signals of various molecular weights. 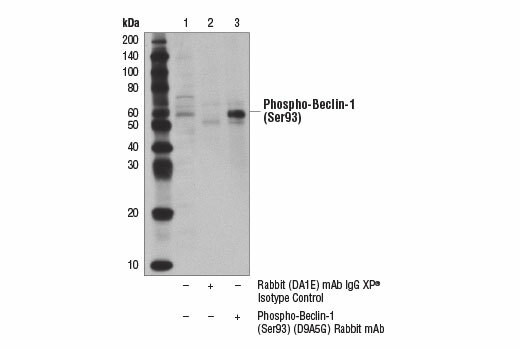 Phospho-Beclin-1 (Ser93) (D9A5G) Rabbit mAb recognizes single phosphorylation of Ser93 to a greater extent than dual phosphorylation at Ser93 and Ser96. 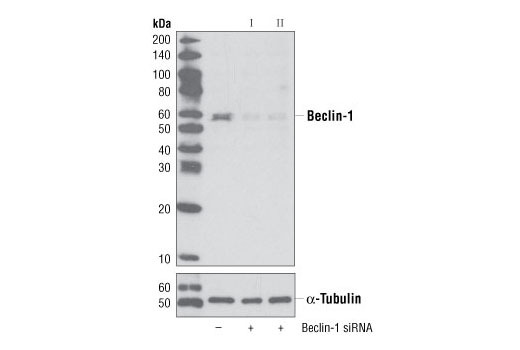 This antibody may also weakly detect an unidentified band at approximately 70 kDa. 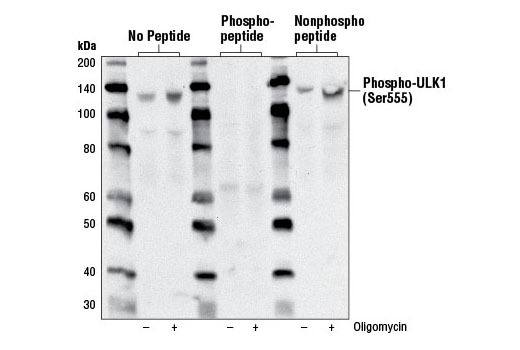 Monoclonal antibodies are produced by immunizing animals with a synthetic peptide and phosphopeptides corresponding to residues surrounding Ser172 of human AMPKα protein, Arg21 of human AMPKα protein, Ser555 of mouse ULK1 protein (equivalent to Ser556 of human ULK1), Arg600 of human ULK1, Glu11 of human Raptor, Ser93 of human Beclin-1 (Ser91 in mouse), and Thr72 of human Beclin-1. 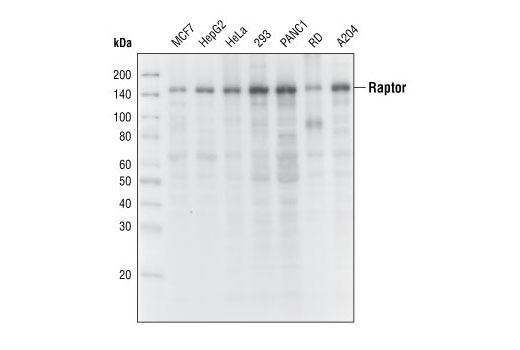 Polyclonal antibodies are produced by immunizing animals with a synthetic phosphopeptide corresponding to the sequence surrounding Ser792 of human raptor. 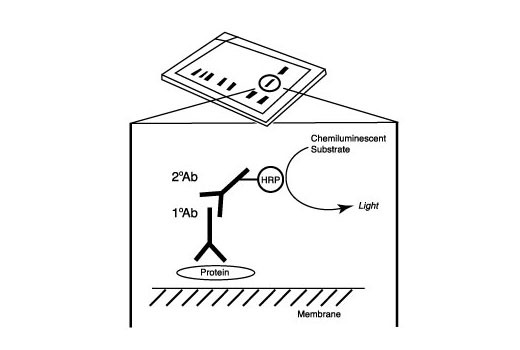 Antibodies are purified by peptide affinity chromatography. .
AMP-activated protein kinase (AMPK) is highly conserved from yeast to plants and animals and plays a key role in the regulation of energy homeostasis (1). AMPK is a heterotrimeric complex composed of a catalytic α subunit and regulatory β and γ subunits, each of which is encoded by two or three distinct genes (α1, 2; β1, 2; γ1, 2, 3) (2). The kinase is activated by an elevated AMP/ATP ratio due to cellular and environmental stress, such as heat shock, hypoxia, and ischemia (1). The tumor suppressor LKB1, in association with accessory proteins STRAD and MO25, phosphorylates AMPKα at Thr172 in the activation loop, and this phosphorylation is required for AMPK activation (3-5). 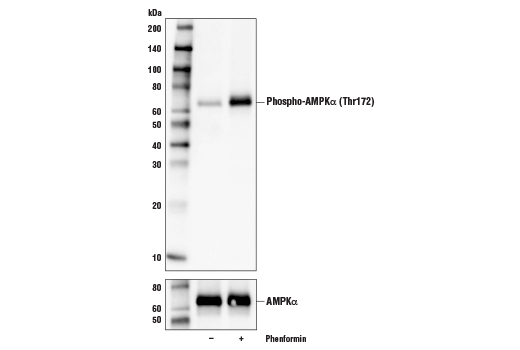 AMPK phosphorylates a number of targets controlling cellular processes such as metabolism, cell growth, and autophagy (6). It suppresses the activity of the mammalian target of rapamycin (mTOR), that plays a key role in promoting cell growth. The regulatory associated protein of mTOR (Raptor) was identified as an mTOR binding partner that mediates mTOR signaling to downstream targets (7,8). Raptor binds to mTOR substrates, including 4E-BP1 and p70 S6 kinase, through their TOR signaling (TOS) motifs and is required for mTOR-mediated phosphorylation of these substrates (9,10). 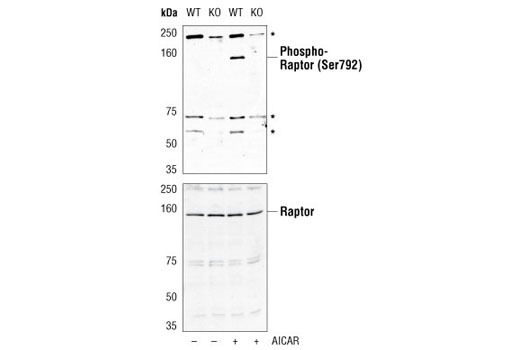 AMPK directly phosphorylates Raptor at Ser722/Ser792, and this phosphorylation is essential for inhibition of the raptor-containing mTOR complex 1 (mTORC1) and induces cell cycle arrest when cells are stressed for energy (11). 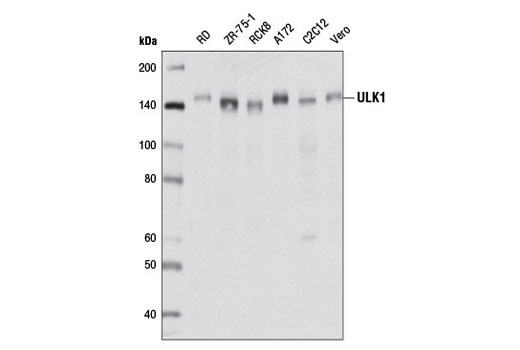 AMPK also promotes autophagy by directly phosphorylating ULK1 (11,12). 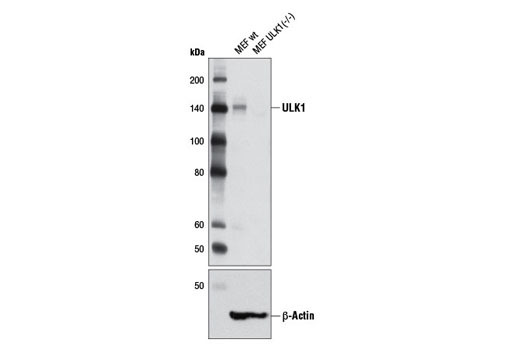 ULK1 is a Ser/Thr kinase required for the Initiation and formation of the autophagosome. AMPK, activated during low nutrient conditions, directly phosphorylates ULK1 at multiple sites including Ser317, Ser555, and Ser777 (11,12). Conversely, mTOR, which is a regulator of cell growth and an inhibitor of autophagy, phosphorylates ULK1 at Ser757 and disrupts the interaction between ULK1 and AMPK (11). 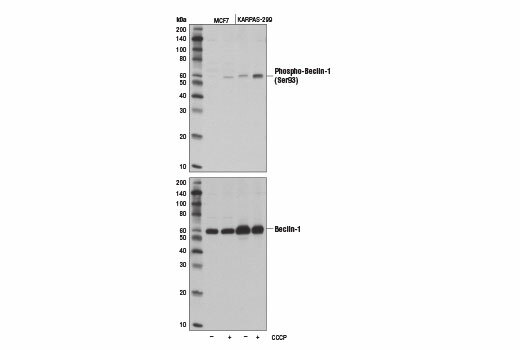 AMPK can also directly phosphorylate Beclin-1, a component of the complex downstream of ULK1 in autophagosome formation that activates the class III phosphatidylinositol 3-kinase VPS34. AMPK phosphorylates Beclin-1 at Ser93 and Ser96 residues in human, which correspond to murine Ser91 and Ser94 (14).